This one-and-a-half-story, side-gabled house is the front portion of an eighteenth century house built for Catherine Lockhart about 1768 on the adjacent lot at the northeast corner of Churton and Tryon Streets. The house is three bays wide and single-pile with a full-width shed-roofed rear wing and a full-width gabled rear wing that is four bays deep. It has beaded weatherboards, six-over-six wood-sash windows on the façade and in the gabled dormers on the façade, and four-over-one Craftsman-style wood-sash windows on the side elevations. The six-panel door has a one-light transom and is sheltered by a replacement shed-roofed porch supported by chamfered wood posts. The Flemish-bond brick chimney in the left (west) gable is likely a reconstruction. In the early 19th century, the house was owned by William H. Brown, who lived there and kept his shoemakers shop in the house. About 1927, the Esso Company bought the house and the front half was moved to this adjacent site and remodeled in the Craftsman style. 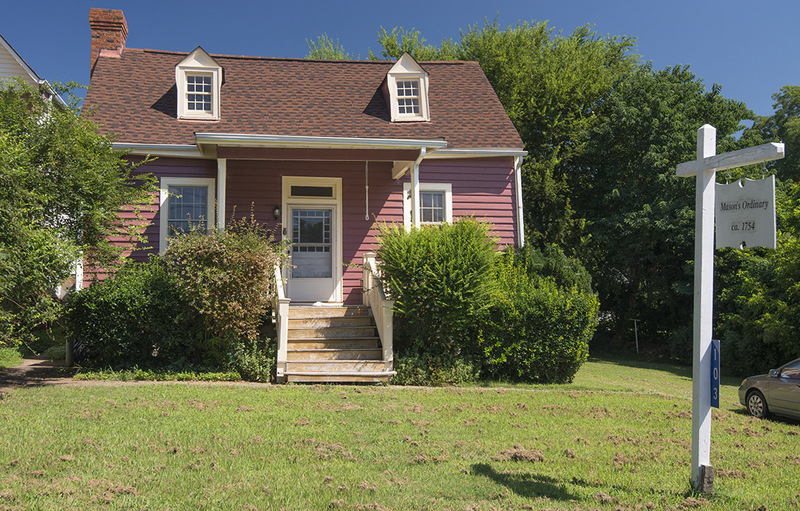 The Craftsman-style porch was later removed, a front stoop was added, and the front-gable dormers were reconstructed. The house is labeled by the front sign as "Mason's Ordinary" with a build date of 1754.